Luke Maye scored 17 points, including North Carolina’s last field goal with 5:33 remaining, and No. 12 North Carolina held off a late rally by No. 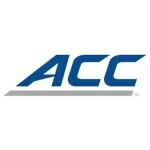 5 Duke to advance to the Atlantic Coast Conference Tournament championship game with a 74-69 victory on Friday night. Theo Pinson scored a career-high 25 points and had 11 rebounds, lifting No. 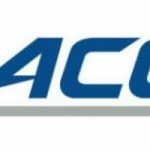 12 North Carolina while its other stars were struggling, and the Tar Heels beat Miami 82-65 on Thursday night to set up a second straight Atlantic Coast Conference semifinal meeting with Duke in Brooklyn. Theo Pinson had 16 points, 11 rebounds and six assists and Kenny Williams scored 17 points as No. 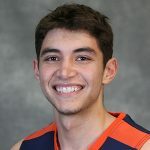 12 North Carolina beat Syracuse 78-59 on Thursday night to advance to the quarterfinals of the Atlantic Coast Conference Tournament. Authorities are still actively searching for the missing 84-year-old man from Burlington, N.C., and the two North Carolina fugitives. 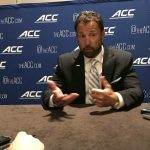 AFP editor Chris Graham joins the media interviewing North Carolina coach Larry Fedora at the 2017 ACC Kickoff. North Carolina coach Larry Fedora and players M.J. Stewart and Bentley Spain talk with reporters at the 2017 ACC Kickoff. UNC coach Roy Williams and players comment after the Tar Heels’ loss to Duke at the 2017 ACC Tournament. Duke rallied from a 13-point second-half deficit, aided by North Carolina foul trouble, defeating the Tar Heels, 93-83. Top seed North Carolina took control with an early second-half run and coasted to a 78-53 win over #9 seed Miami.